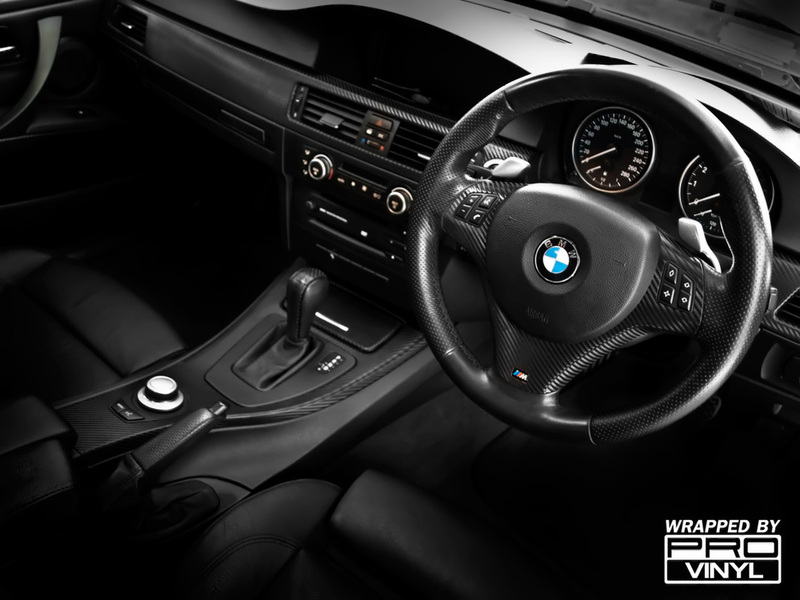 Interior wrapping is becoming increasingly popular in Australia. This popularity comes from the opportunity to make changes to your interior without the headache of sourcing and fitting new parts. 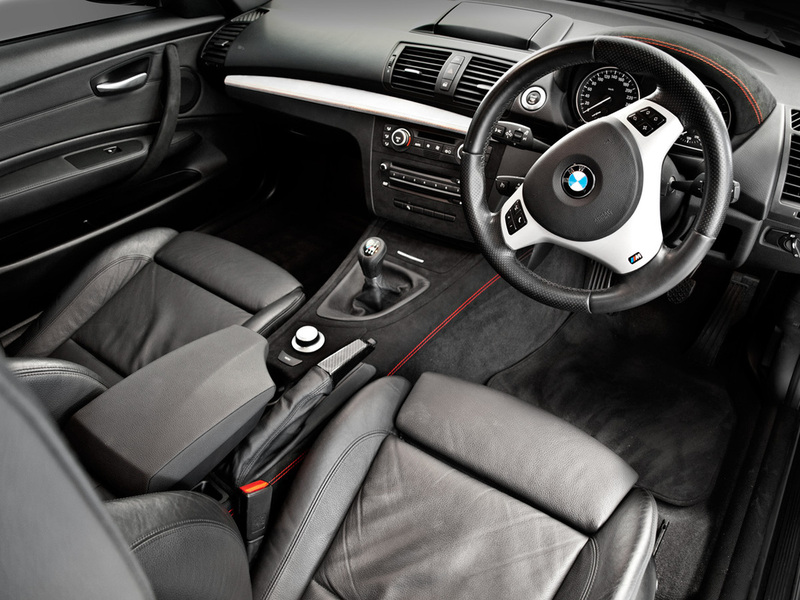 This relatively quick and effective way of updating the look of your car's interior has been a huge success with previous projects. 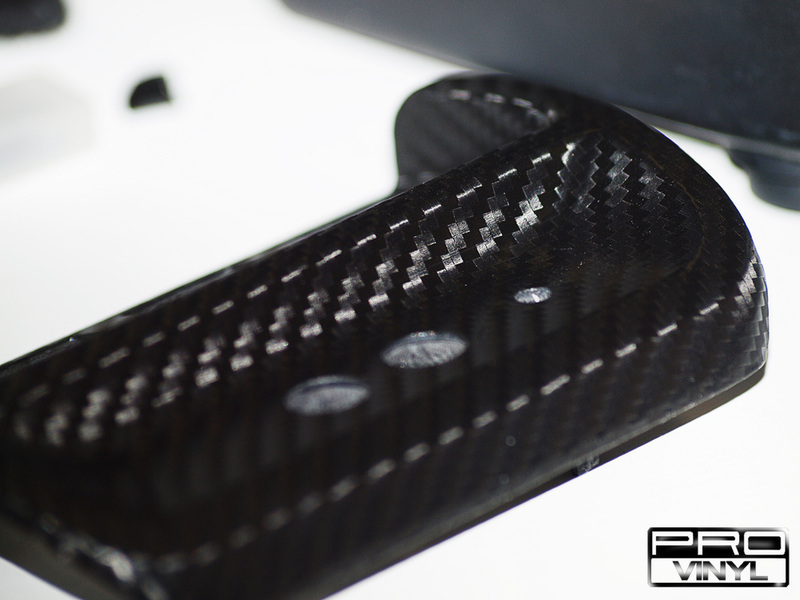 At PROvinyl we mainly use 3M carbon fibre vinyl for interior wraps but other colours and finishes are also available. 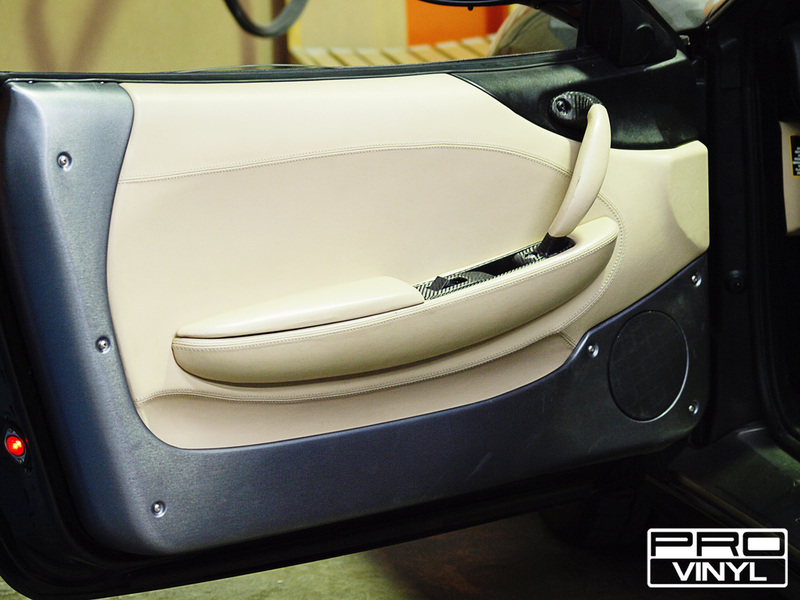 Wrapping interior components is becoming increasingly popular with customers that get their car done in a full exterior wrap. While modern manufacture offers enhanced standards of quality, mass production is a double-edged sword. We may be assured of quality is assured, but we are lumped with a compromise – the “plain vanilla” standard. Craft manufacture gave us the kind of individuality that factory production can never match. Of course, luxury featured vehicles are obtainable - but often only at a prohibitive price. 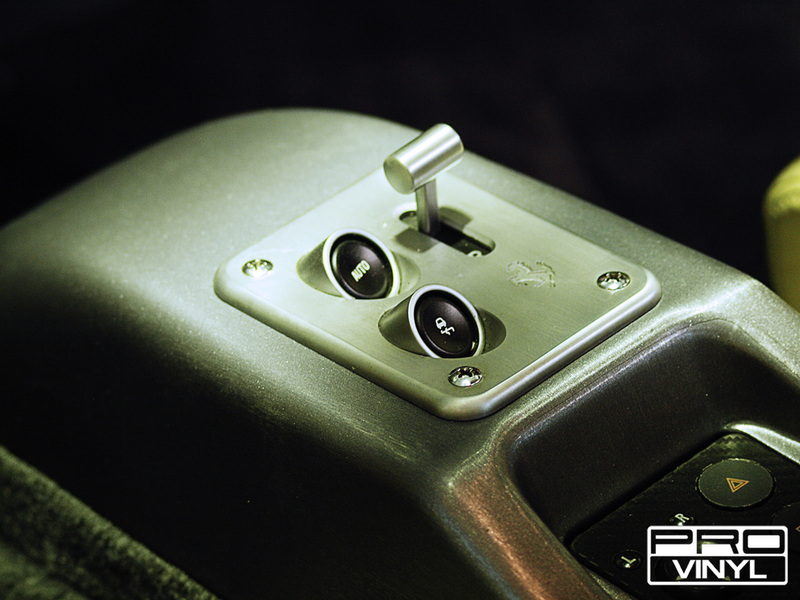 In the case of wooden trim features; these are now only found in high-end luxury saloons. 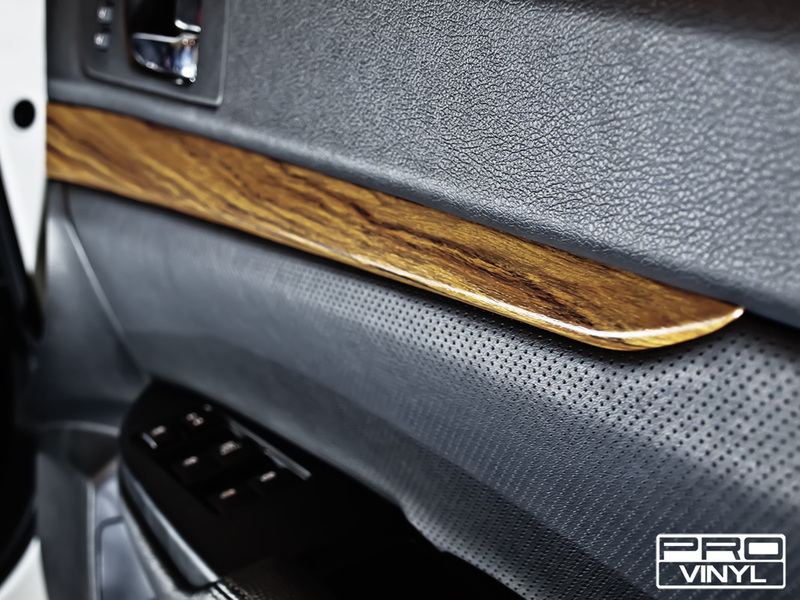 Thanks though, to breakthrough production and application technologies, it’s now possible to custom retrofit eye-deceiving simulated wood finishes to any vehicle. Now you can add the warmth of wood, and soul, to even the most common car, at a very agreeable cost. “Time is money” has been the catch cry, pretty much ever since money was invented. It is little wonder, then, that greatest emphasis is given to increasing the speed of production, while lowering costs. 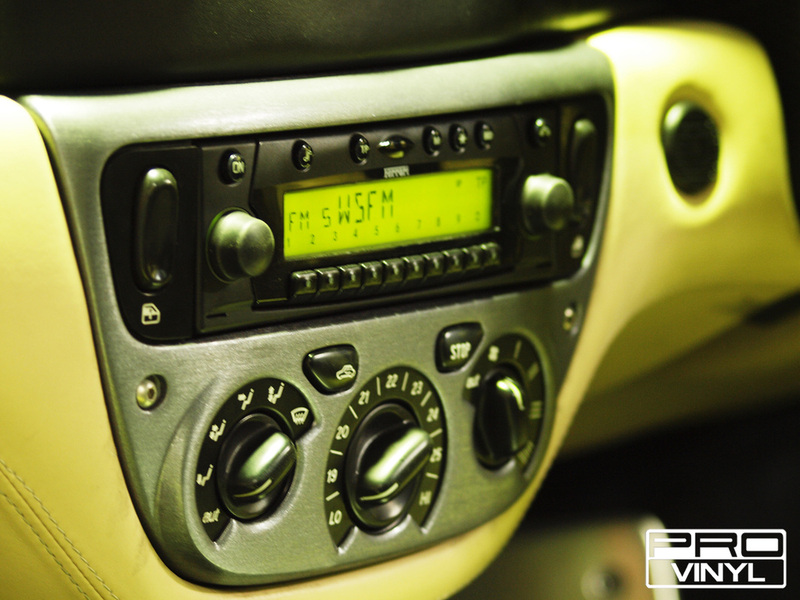 That fact is never more true than in the automotive industry, where plastics feature so highly in vehicle interior fittings. Durable components are quickly fashioned in plastic, replacing higher standard materials that are more difficult to fabricate, or whose cost has become prohibitive. Yet, we yearn for that appearance of solidity. There are aesthetic qualities to natural materials such as wood and stone - and even of brushed metal, which harken to a certain admirable style in industrial design. Fortunately, high resolution photo-realistic printing and the form-fitting medium of vinyl have become remarkable partners, enabling an unimaginable level of customisation, both on vehicle exteriors, and now, increasingly, as inspired interior trim. One may never have considered marble trim, unless one was a maharaja or middle-eastern potentate. Yet, now, even marble is a custom option, that will assure your ride will always be one step ahead of the Jones’s. Henry Ford, an early pioneer of production line manufacture made his fortune on the Model T, which was famously available in “any colour – as long as it was black”. Later, Johnny Cash made the colour his trademark as “the Man in Black”. Then, it also featured heavily in the Batman movies, where astounding cars made from exotic materials seemed to cement our love affair with this brooding, faintly menacing colour. In contemporary times, where it’s good to be bad, it just doesn’t get badder than black. And the blackest black is carbon fibre. 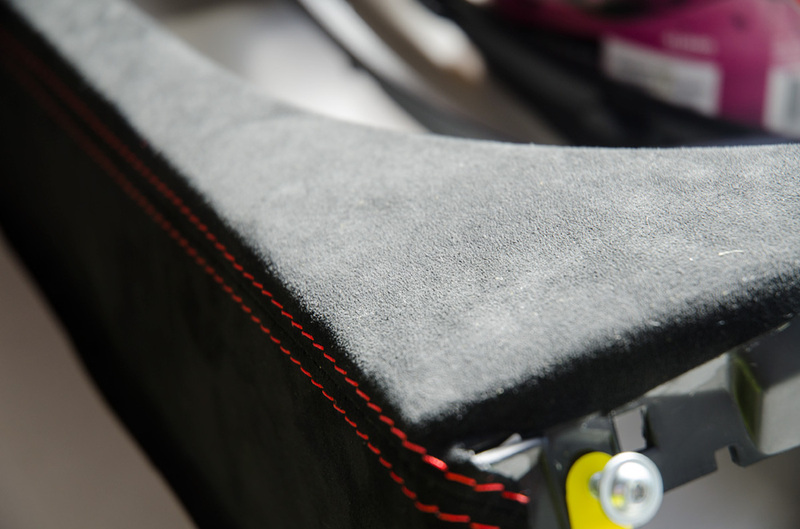 Whether it’s because it is used by the military, or through its racecar connotations, this tough, lightweight material has become a symbol of bad. Whatever the reason, there is no denying that this inken, textured fabric makes any car look like something that Al Capone or the Untouchables themselves would drive. But you don’t have to be a gangsta to love the impression of toughness and throbbing power that carbon-fibre wrap gives a vehicle. 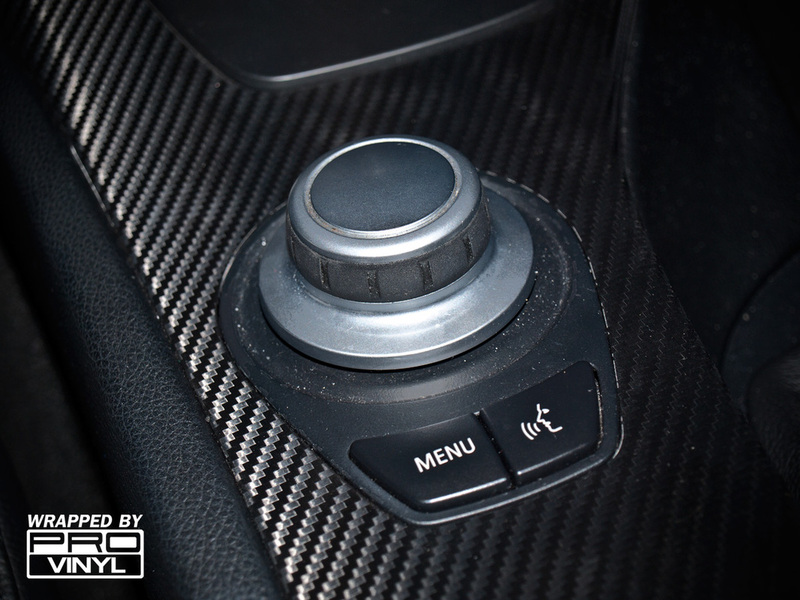 If you have a taste for image and style, you’ll be part of a growing trend of carbon fibre fans, who choose this interior trim to pimp their ride. These are just a few of the 100+ textures and finishes that we carry. For state-of- the-art materials and cutting edge application technicians, there is just one place to look – only at PROvinyl.